With 53.5 million Millennials now at work in the United States, companies are used to figuring a way to force this generation into their old and outdated business expectations. However, it’s the companies that go out of their way to radically adapt their businesses to the expectations of Millennial employees that will succeed in the next decade. This is especially important to keep in mind now that we know that by 2020 more than half of the entire United States work force will be Millennials. The first step of adapting your company to meet the expectations and desires of Millennial employees is to get rid of your immediate assumptions about the generation. Instead of considering the workplace’s youngest generation lazy, selfish, uninvolved, and inexperienced, employers need to reframe their assumptions and view of the generation to see their strengths. Millennials are passionate, charitable, interested in learning, and ready for more responsibilities and experience. Additionally, companies that push away technology from their employees should consider how Millennials embrace technology for professional purposes helping them be more productive. Employers often consider what motivates their employees once they’ve already been hired, but companies that are ahead of their competitors will design the company culture and job positions with Millennials’ motivations in mind. Although it’s different for everyone, Millennials as a generational cohort tend to value growth opportunities, challenging projects, the ability to help others, natural career progression, and a work/life balance. Once you’ve prepared yourself and your company for the way Millennials work best, it’s on the management team to meet or even beat the expectations of their employees. Imagine the disappointment one might have if they were told during the interview process that the company was looking for people who wanted to use their creativity to solve challenging problems, but each new idea they presented was passed over in favor of the tried and true. This has happened to me before and after a short period of time, both my employer and myself agreed that we were not a great fit for each other. Millennial employees view feedback and input as a two-way street. They will gladly accept feedback and input if it is presented in a positive way, because they want to gain new skills and constantly improve. At the same time, they expect their bosses and employer to take the feedback and ideas they provide and consider or even implement them for the betterment of the company. 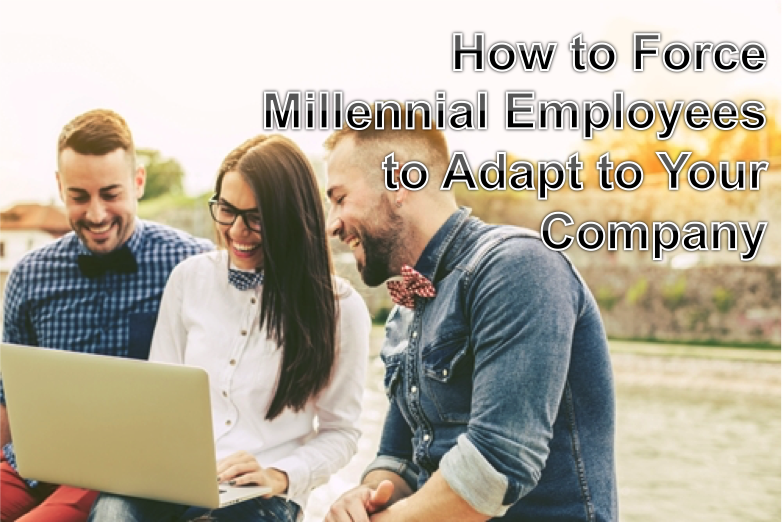 The way companies adapt to Millennial workers continues to change, but if companies continue to accept feedback and adjust their expectations they are sure to be successful.